Knowing that your elder parent needs to undergo heart surgery can be intimidating. As their family caregiver, it is important to know that the care that you give them throughout their recovery can be instrumental in helping them get through this recovery and into their new healthier lifestyle in the best way possible. 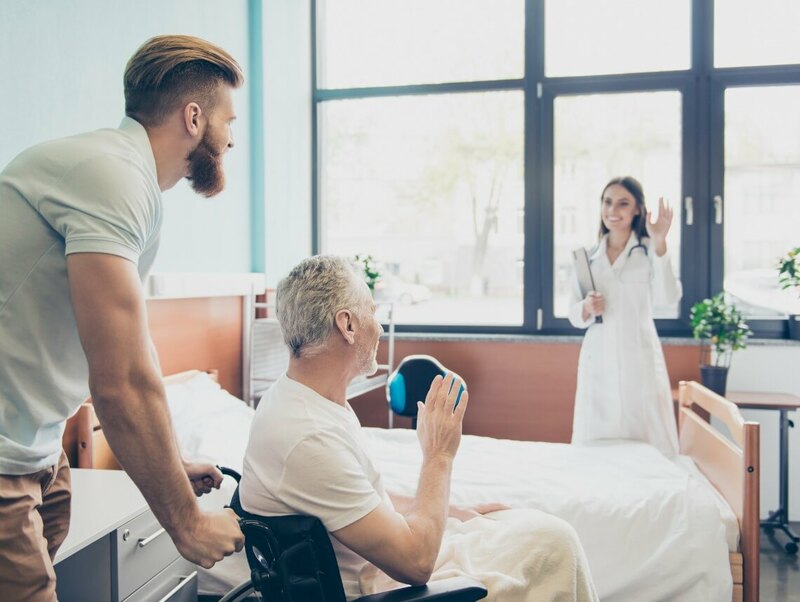 Creating a care plan well in advance of your parent’s procedure can help you to feel more confident in these care efforts and put the proper steps into place to help you care for your loved one successfully. While there are elements of your parent’s recovery that you are likely to already anticipate, such as pain and tiredness, there are other aspects that you might not think about. Some of these include your parent not being able to bend over, not being able to lift anything more than just a couple of pounds, and how quickly their body might fatigue. Knowing these limitations ahead of time can help you to ensure that you modify or handle tasks for your parent that they will not be able to do, and structure your care around not letting your loved one overdo it, putting them at increased risk of complications. Recovery from heart surgery can be a long process. Many people who undergo such a procedure will need up to six weeks of recovery before embarking on another 12 weeks of cardiac rehabilitation. Even after that, your parent will likely require additional support and assistance to handle the changes that come with the need for heart surgery. Acknowledging this will give you confidence and strengthen you to face the challenges ahead. Your parent might be highly motivated to get better and enjoy a more active lifestyle after their surgery. It is very important, however, that they do not push themselves too hard or too quickly. This can result in increased risk of infection, injury, and other complications. Encourage your parent to take things slowly and follow the recovery timeline that your parent’s doctor has given them. If your elder loved one will be undergoing heart surgery in the near future, now is the ideal time for you to consider starting elder care for them. Heart surgery is a major event in your parent’s health care and they will need a considerable amount of support, assistance, and care throughout their recovery period. An elder home care services provider can be with your parent in the time leading up to the surgery as well as after to help them to prepare for their procedure and then to give them what they need to manage their recovery in the best way possible. Even after their recovery, an elder care provider can help your senior make the most of their life, helping them to make good lifestyle choices, remain compliant with their medications and treatments through customized reminders, and giving them the emotional support and encouragement necessary to continue living an engaged, fulfilling quality of life. When it comes to ensuring that your aging parent gets all of the care that they need, this care provider can act as a valuable supplement and “safety net” for the care efforts that you already put forth for them. This means that you are able to continue managing the other needs in your life while knowing that your parent has the proper care and support system at all times.